The first, annual mid-island polymer clay retreat. Five full days of exploration into the potential of polymer clay as an art medium, including sculpting, surface techniques, mixed media, resin, the new Burlesque Blend and jewelry design and assembly. The Polymer Claymates Guild is proud to host this event and are pleased to extend an invitation to anyone who would like to attend this art retreat. We have invited three accomplished instructors to teach 5 different classes. Cost: $375 (this fee includes all five days of instruction, all materials needed to complete the specific class projects (tools excepted), a Thursday evening for completing projects, asking additional questions and getting specific help from instructors if necessary, and buffet dinner Saturday night to socialize, celebrate our accomplishments and to give out prizes. You will be working with a new line of pigment, metal leaf, silkscreening, inserting the clay into premade bezels and learning to work with resin. All clay and materials required for the surface techniques will be provided, as will a bezel blank, bails, necklace chain, headpins, earwires and other incidental finishing materials. Additional bezel blanks (pendants, bracelets, earring and ring) will be available to purchase at cost for those of you who are ambitious and wish to finish more pieces. You will finish at least three pieces. You will make a themed box with a lid and sitting on legs, if you so choose. 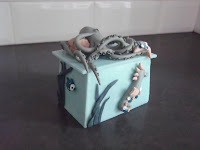 This box will be embellished with sculpted elements from a theme that you would select with the instructor’s help. This will include extensive teaching of colour mixing, using a unique technique for developing a coherent colour palette for a particular piece. Also, various inclusions will be introduced for adding texture and interest. Using armature as sculpting foundations will also be taught. Sandra’s goal is to help you to create your own unique characters, whether imaginative or realistic. This is a new, unique technique that will be taught for the first time in this class. You will also be introduced to working with glitter in conjunction with this technique and designing your piece accordingly. This day will include more work on colour, helping you to choose colour harmonies that yield beautiful results when working with metal clays. 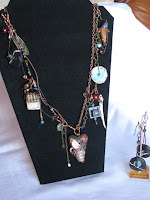 This class is a combination of industrial chic and steampunk, using the unique “mimic” properties of polymer clay to imitate metal, paper, wood, leather, glass, enamel, rocks and various semi-precious gemstones. We will make several pieces of "found" objects and then use various mixed media to complete a necklace similar to the one pictured above. 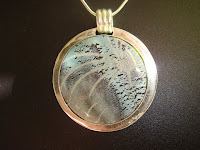 You will learn some wonderful wire working techniques for attachments and clasps as well. This will be a blast! Day 5 will end with a plated dinner and prizes and time to spend admiring everyone’s accomplishments. 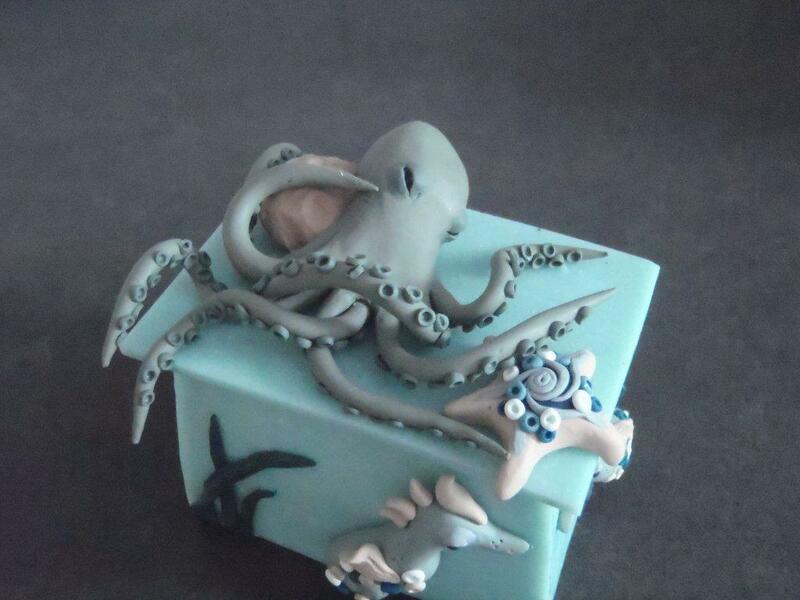 If you are new to polymer clay, or just rusty, don’t fret. A Beginner’s/Refresher class is scheduled for the Friday before the retreat, Friday, April 8th from 10am to 4pm in my studio in Nanoose Bay. This class will cover all the basics of working with the clay, handling the tools safely, curing and finishing. The class will be $55, including all the material for the project (tools excepted). However, if you would like to attend the retreat, the cost of this class will come down to $15, to cover just the cost of the material. We will make a “faux” jade bracelet similar to that pictured above. Woot! I'm so excited to be a part of this. It's sure to be quite a bit of fun. I'm looking forward to meeting you all!